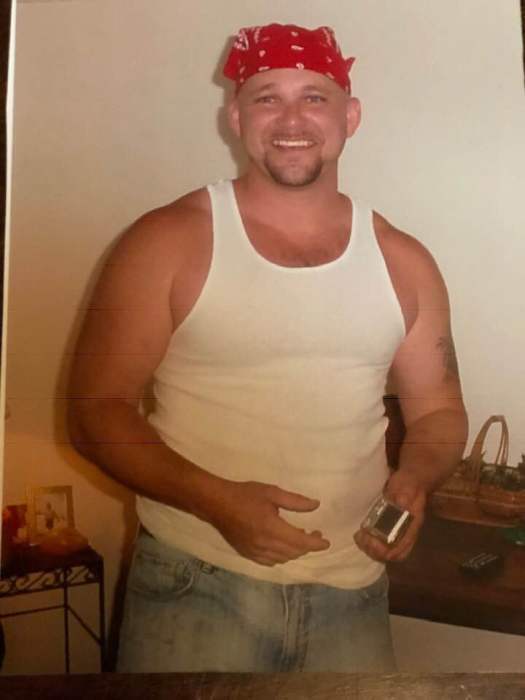 Ronald Ray “Little Ronnie” Shepard, 46, of Seale, Alabama passed away unexpectedly Wednesday, November 21, 2018 at his home in Seale, Alabama. A Celebration of Life funeral service will be held 3:00 pm Est on Thursday, November 29, 2018 at Vance Brooks Funeral Home in Phenix City, AL with Rev. Kip McKee officiating. Interment will follow at Lakeview Memory Gardens. The family will receive friends one hour prior to the service on Thursday at the funeral home. Ronnie was born October 9, 1972 in Columbus, Georgia to Dianne Pate Auston. He loved raising gamecock chickens, hunting and fishing and spending time in the outdoors. He was a huge fan of the Georgia Bulldogs, and he loved spending quality time with all his family and sharing special moments. He was Christian by faith. He was preceded by his stepfather, Thomas "T-Tommy" Auston who loved him as his own son. He is survived by his mother, Dianne Pate Auston, his fiancé and companion, Kelley Ogle, one sister, Angie Viteri and husband John, one brother, Thomas "Booger" Marion Auston, III, nephew, Justin Lamar Tramel, niece, Kayla Dianne Adams and husband Justin, Aunts, Linda Storey, Anita Kurth, Margaret Judith Hammack, and Shirley Ann Pate, numerous cousins, along with many caring friends.